You might get sick of seeing Alfa Romeo GTV6s on this website before we get sick of posting them, probably. Like a dog with a bone, Fox News covering the GOP senate sweep, or a toddler with a new fun game, we are going to keep at it. Do it again Papa!! Do it again!! 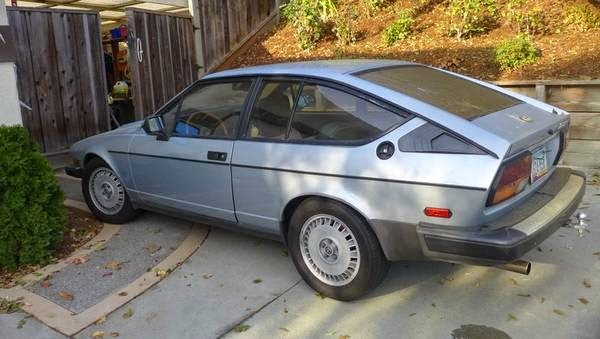 Here is another 1982 Alfa Romeo GTV6 offered for $5,500 in Dublin, CA via craigslist. Tip from Kaibeezy. This listing has some of the good things we look for in a craigslist advertisement when hunting for a deal...and some silliness, but we'll deal with both. 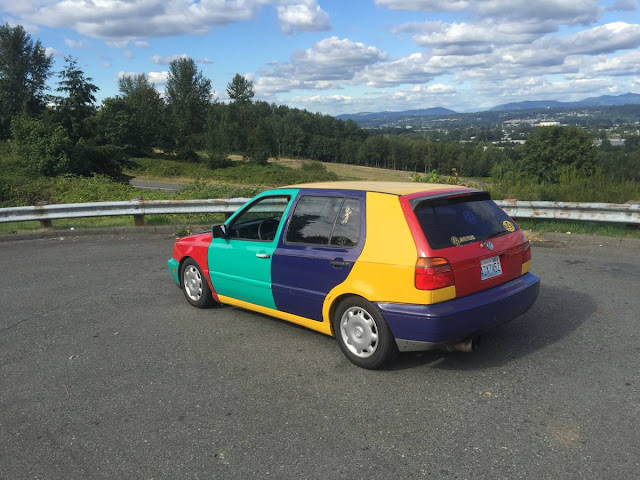 The seller has taken enough photos to show the condition of the car, but they aren't professional quality indicating the seller isn't a flipper or someone trying to maximize profit. The seller does say he is the second owner and that it's been a personal driver for 18 years, but he doesn't explicitly say it was his personal driver for those 18 years. Regardless, it is good to know the car wasn't used for a taxi service or in a pre smartphone rideshare program. 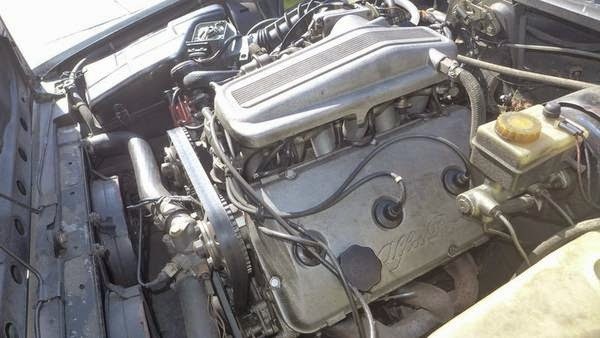 The seller spends a good portion of the advertisement touting the engine, so let's take a look. The GTV6 was powered by a 2.5 liter V6 that puts out something in the 150 horsepower range when stock, but this seller has done some customization and claims 190 horsepower. 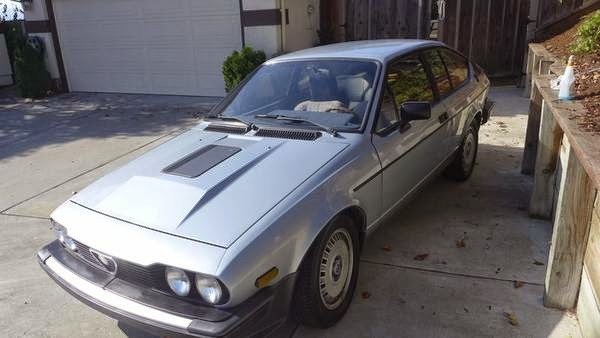 Unfortunately, where it all breaks down is to exactly what has been customized; there is a reference to BMW flapper valve mass air flow meter, then porting/polishing and even a mention of a 3.0 liter from a Milano or 164S -- but the seller doesn't explicitly identify what is under this hood. California smog could be a problem for anyone trying to keep it local without the means to register it in Arizona. 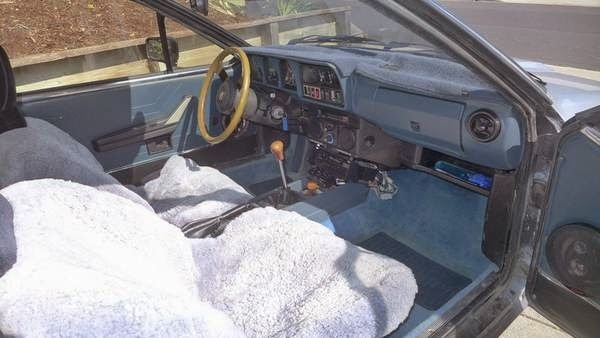 More bad news on the inside: the seller left his fuzzy slipper seat covers and faded blue dash mat in place when taking interior photos, so it's your guess to the condition of the seats/dash. Expect the worst and be pleasantly surprised? Looks like a pile of dung. Was that cruel? Nope, still not tired of seeing these things!